You might want to pack your black-tie outfit for this trip. After more than two-dozen movies in over 50 years, the original film spy hero finally has his own interactive museum. 007 Elements opened in July 2018, appropriately at one of the dramatic locations where the Bond picture, Spectre, was filmed. The winter action sequence in 2015's Spectre took place in the real-life Alpine resort of Solden, in the Austrian Tyrol region, over 3000 meters (nearly ten thousand feet) high. There, film location scouts came upon the ideal Bond location: the chic, modernist Alpine aesthetic of the ice Q restaurant at the top of the mountain at the resort ski lift. It became the scene's private clinic. Nine other nearby locations completed Spectre's Alpine clinic and death-defying mountain chase sequence. 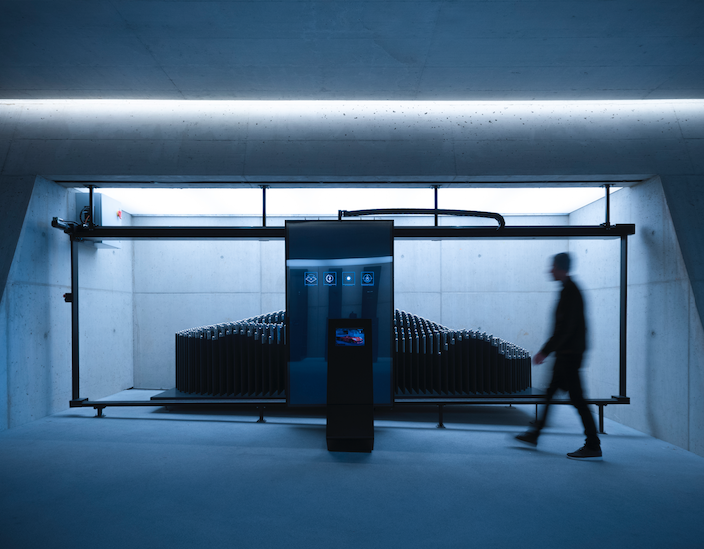 Inspired by the half-century of Bond mystique and the experience of filming at Solden, an executive of the cable car company came up with the concept of an installation for visitors to get a glimpse behind the scenes of Bond films and film-making. The Austrian architect of the ice Q restaurant joined a team including the Daniel Craig Bond movies' Art Director to simultaneously design the building and its exhibits, all reflecting the suave, bespoke Bond aesthetic and peeling back a layer on what it takes to create a Bond adventure. EON Productions and MGM Studios, who jointly own the rights to the James Bond films, partnered in the project too, making this the first and only official James Bond museum in the world. 007 ELEMENTS is next to the ice Q restaurant at the top of the same Solden cable car featured in Spectre. The minimalist concrete, steel and glass building set into the mountainside feels like a Bond lair whose exterior window walls look over the Alps and other mountain Spectre locations. Inside, exhibits in a series of 9 galleries take visitors inside the fictional 007 world, with revealing glimpses of how it's created for the big screen. 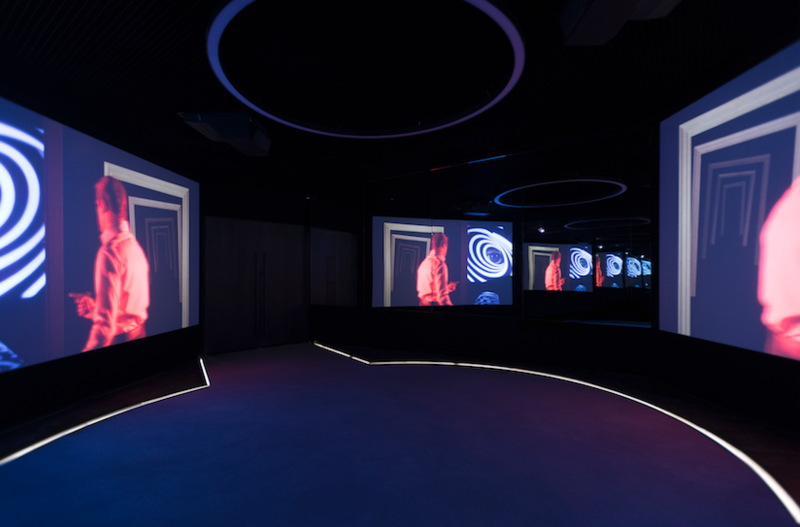 Technology, theatrical presentations and interactive installations take visitors on a multi-sensory journey into the world of Bond films that make you feel M or Q might be around any corner. Moneypenny does make an appearance. Actor Naomi Harris, who plays Moneypenny, presents highlights of Bond history, sets, and locations. And behind-the-camera celebrity Bond director Sam Mendes adds his own insights. 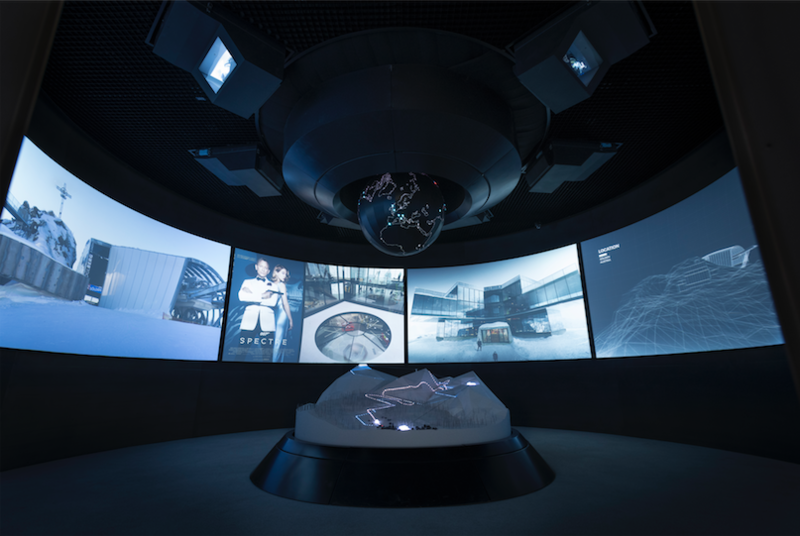 Other installation highlights include: a mirror cabinet with sequences of all Bond actors from Connery to Craig; a 'Tech Lab' revealing Bond gimmicks and gadgets and famous weaponry; reveals of computer-generated visual and special effects; homage to Bond's ride, and Bond legends. We're betting you'll leave 007 ELEMENTS if not shaken, then stirred! Pick up some one-of-a-kind Bond memorabilia or suavely toast Britain's favorite fictional secret agent with a martini in the restaurant next door overlooking the very Bond-like mountain view. 007 ELEMENTS is open year round, and even in the summer, you'll need to layer up. It's at the top of the Gaislachkoglbahn Gondola in the resort village of Sölden an hour and a half by car from Innsbruck, Austria.